The cyber threat landscape is morphing constantly and dramatically. Around the world, cyber dependency grows as increasing digital interconnection among people, things, and organisations expand. Asia-Pacific (APAC) is no different. From currency volatility to political instability and evolving regulations, conducting business across borders today involves more risks – and companies must add cyber to their list of risk concerns. Financial services, energy and utilities, and telecommunications are among the most investigated industries in APAC, highlighting the urgent need for higher awareness levels, stronger mitigation measures, and improved cybersecurity postures. While there is no easy fix for these problems, we are seeing steps being taken in the right direction. The regulatory climate in the APAC region is beginning to change, even if slowly. 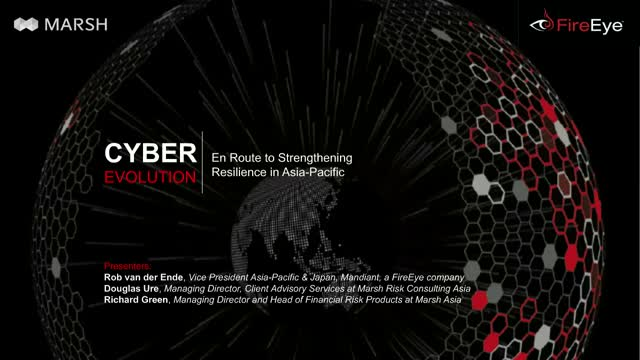 As trusted cyber advisers, FireEye and Marsh & McLennan Companies – each a leader in its own field – have collaborated to share their insights to help organisations across APAC build and strengthen their enterprise cyber resilience.